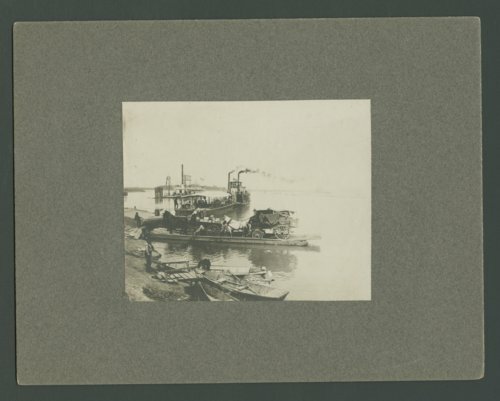 This sepia colored photograph shows two horse-drawn wagons loaded with freight being ferried across the river to Kansas City, Kansas. Along the shoreline two rowboats are visible. In the background two steamboats can be seen navigating on the river.